Everywhere you look, everywhere there’s a reboot of a popular '90s TV show or film making a comeback. These reboots range from gritty new adaptations, to sequels, and straight up continuations of the original source material. When Netflix announced that it would be bringing back beloved 80s/90s sitcom Full House, people lost their minds with both excitement and fear that the super-cheese sitcom wouldn’t translate to a modern audience. 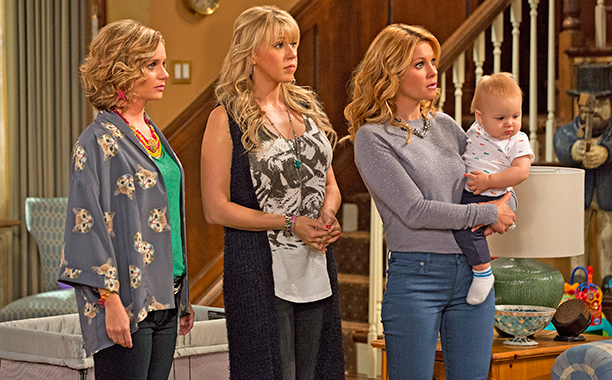 Now it seems that those naysayers were wrong, as Fuller House just got some exciting news. It has just been announced that the streaming service has renewed Fuller House for another season, less than a week after the first season was released in its entirety. The announcement was made through a message on Fuller House’s official twitter page. Check it out. It appears that Netflix has struck gold by buying into the current nostalgia-heavy climate for TV and movies. With '90s kids now in their twenties, they long to watch something that will bring them back to their childhood. Of course, not all '90s throwbacks have been particularly successful, but it seems that Fuller House is doing something right. Fuller House has succeeded in giving fans of the original series exactly what they wanted; the Netflix reboot feels like the original series. Family-oriented comedy, laugh tracks, and (almost) all of the original cast coming back to reprise the roles that have made them relevant pop culture icons to this day. We’ve been brought back to the original San Francisco house, and there is even a version of Comet making an appearance. Rather than creating something separate from the original, Fuller House utilized the fanbase and format that was so successful for the original series’ long run. And since Full House hasn’t stopped airing in syndication since the sitcom ended in 1995, the jokes and characters are still just as present in the minds of both the original viewers, and most likely their children as well. A second season of Fuller House could mean quite a few things going forward. For one, we’re likely to see more of the likes of Danny, Jesse, Joey, and Rebecca. While the adult cast weren’t extremely featured in the first season, I wouldn’t be surprised if this changed. Since Fuller House has the possibility of a long life ahead of it, the original cast will most likely want to be more involved in the series moving forward. And although the Olsen twins seem set against coming out of their retirement from acting, perhaps they’ll change their minds. Alternatively, we could see Michelle recast so that her absence doesn’t feel as inorganic. Fuller House’s season finale also left us with a few questions which we will presumably see answered through a second season. Since D.J. was unable to chose which man she wanted to be with, and Kimmy almost remarried her ex, there are plots which fans of the series are already involved with. We’ll continue to keep you updated as more information about Season 2 of Fuller House becomes public.